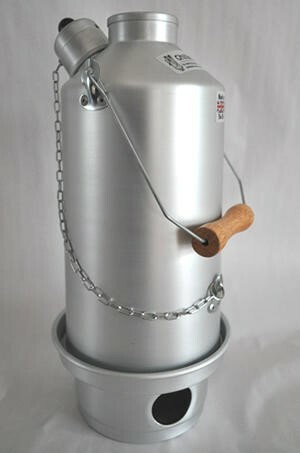 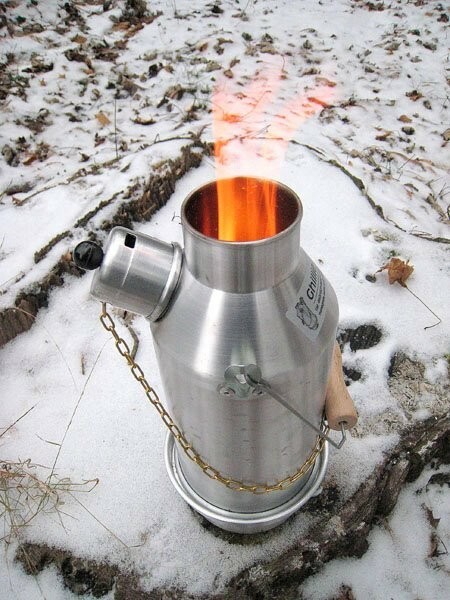 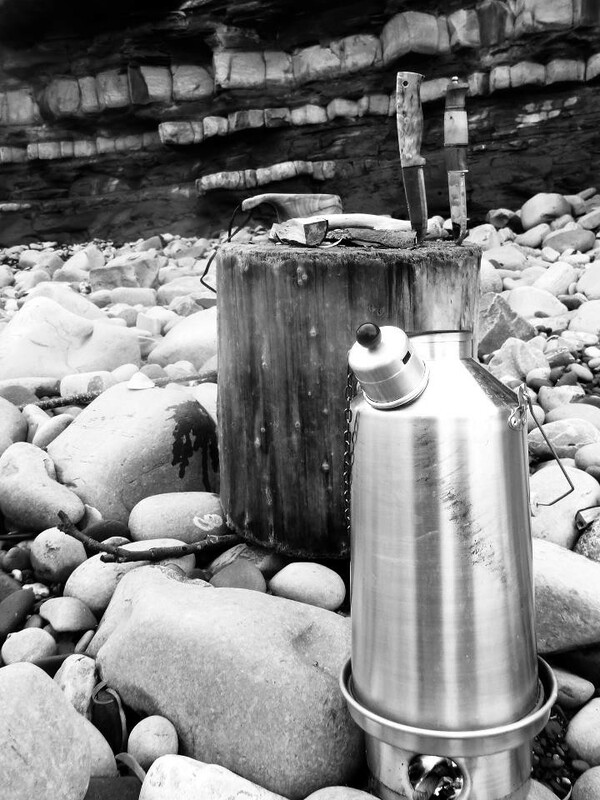 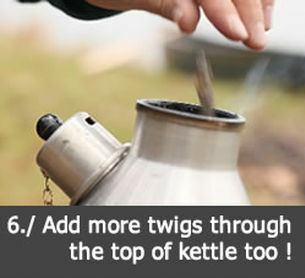 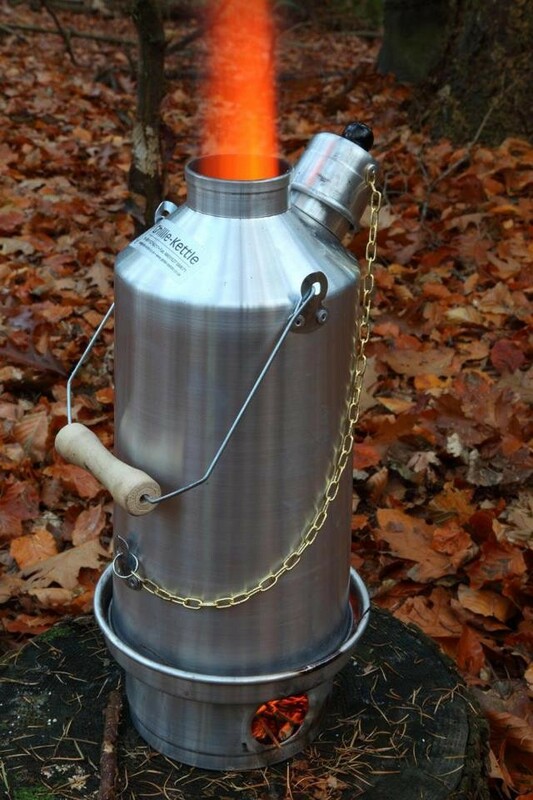 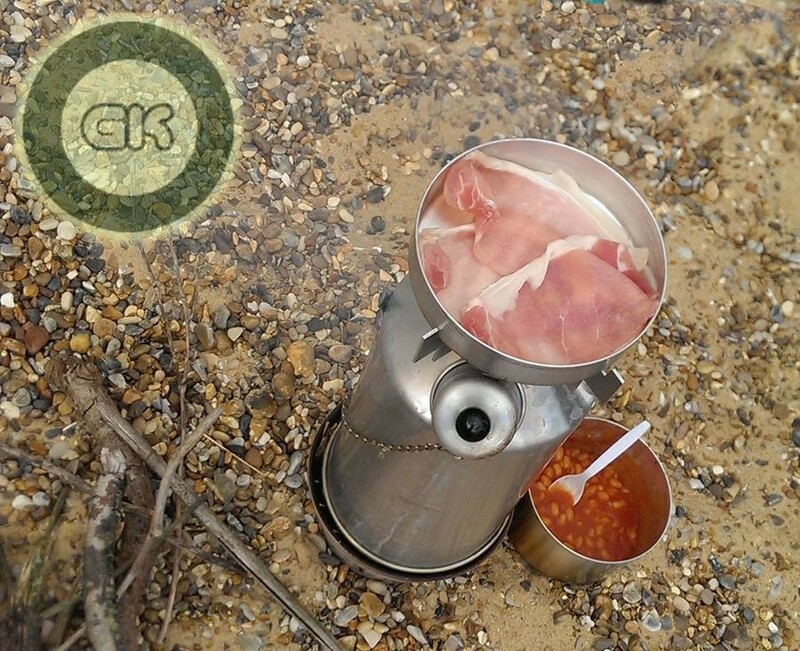 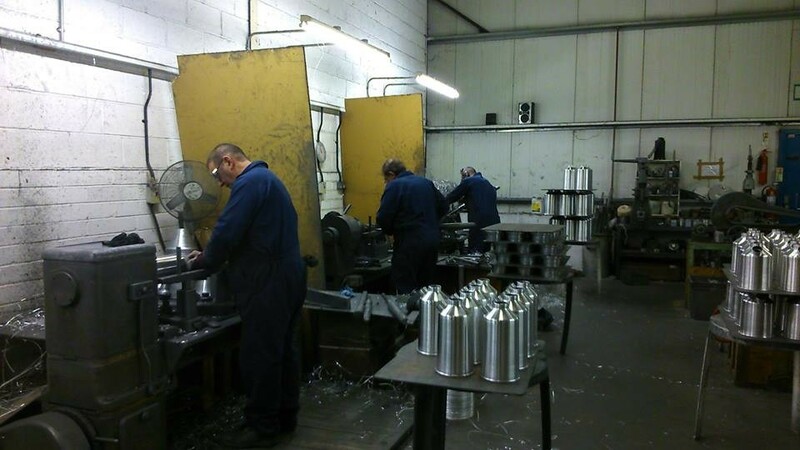 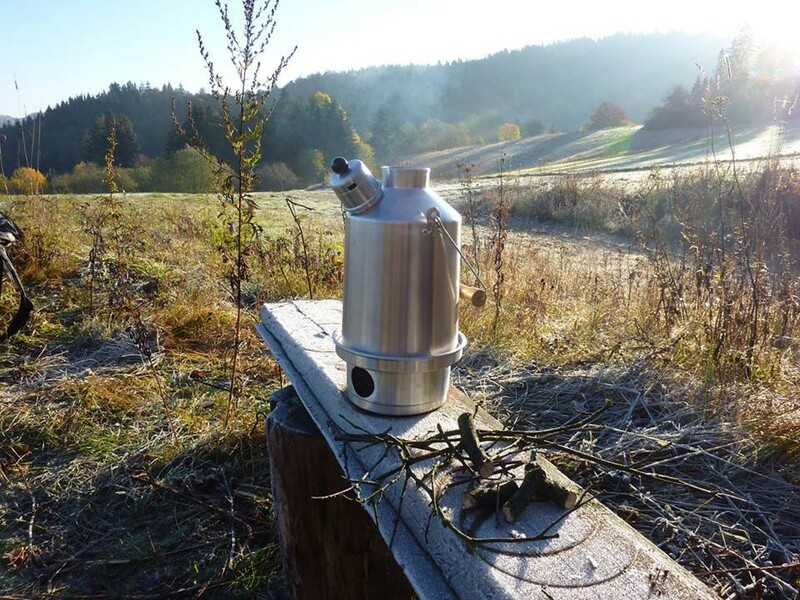 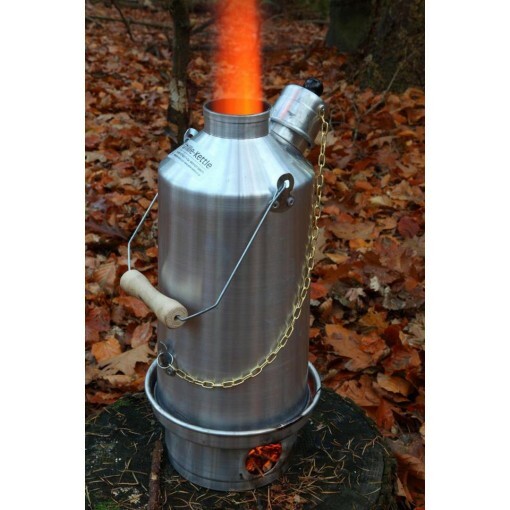 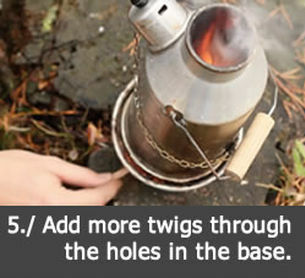 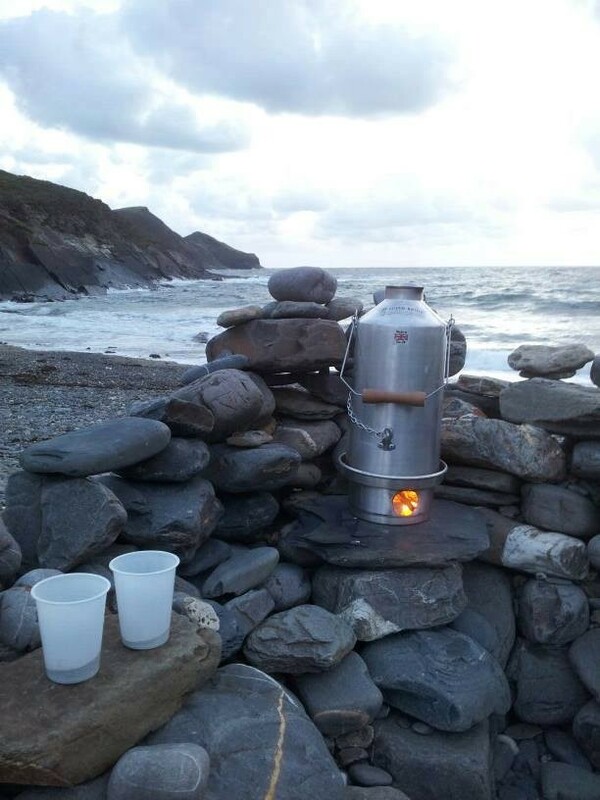 Ghillie's Silver Anodised Camping Kettles - Choose from 6 Configurations! 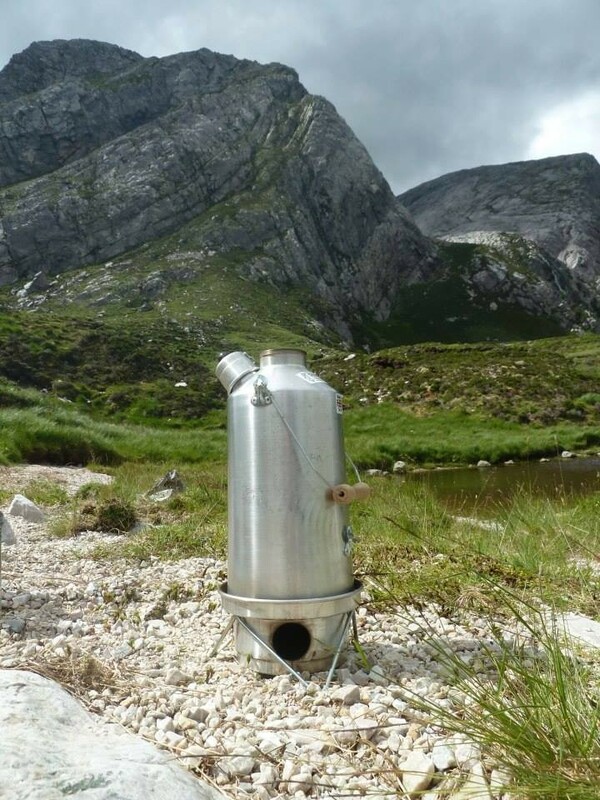 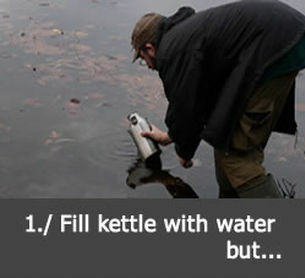 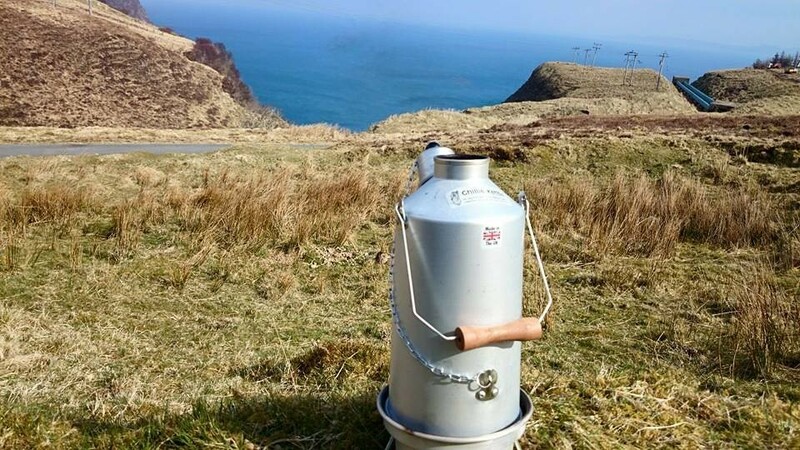 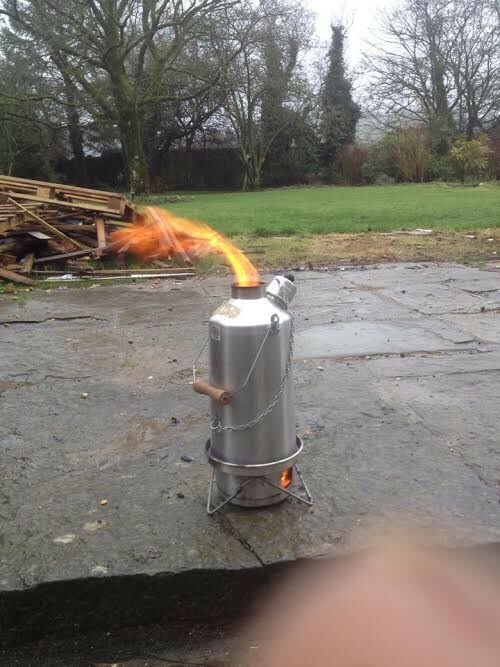 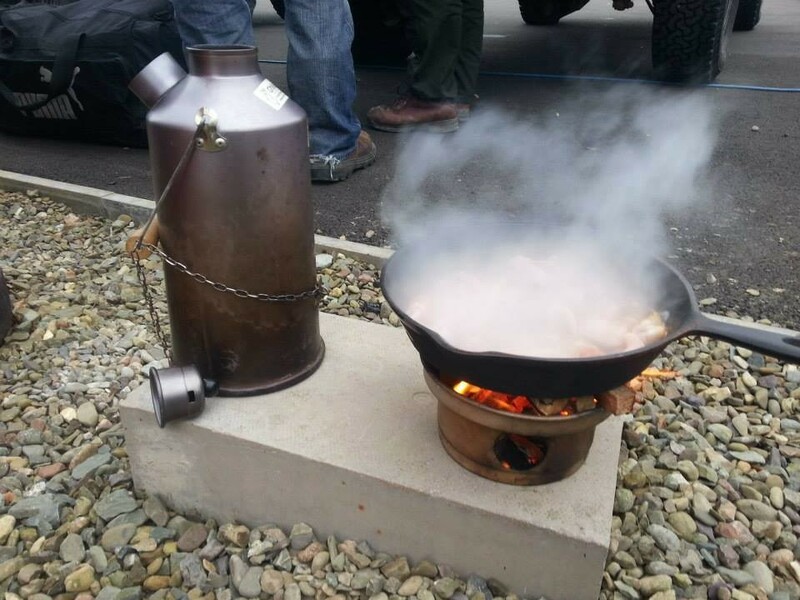 The Irish "Volcano" Kettle Made in UK by Ghillie. 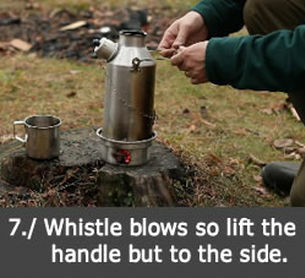 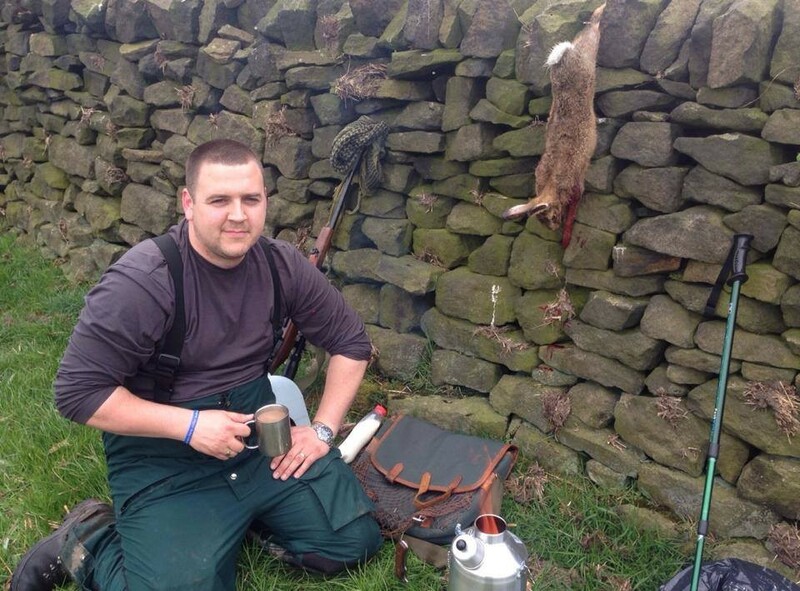 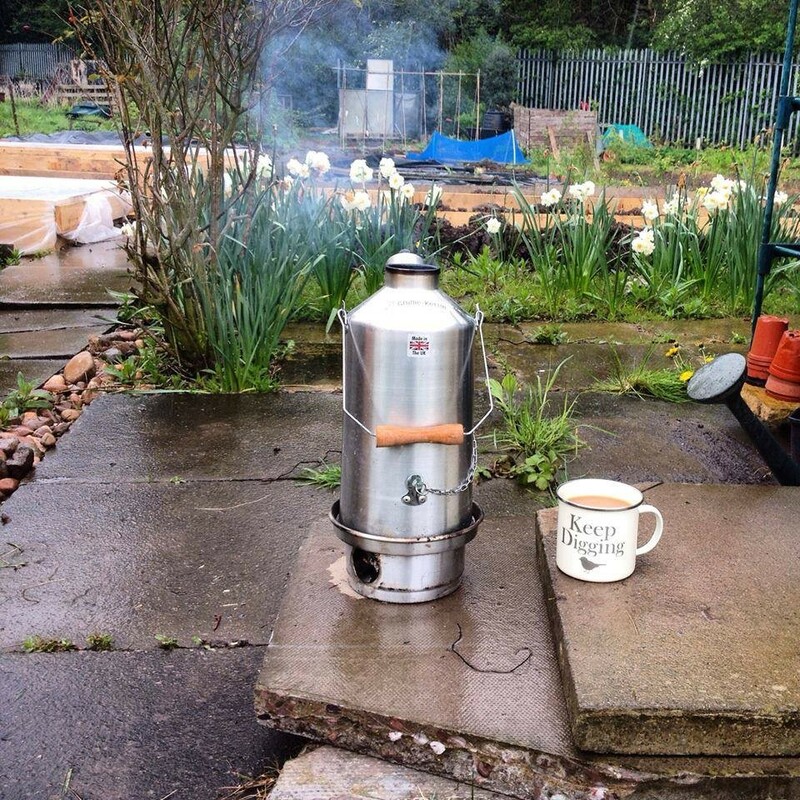 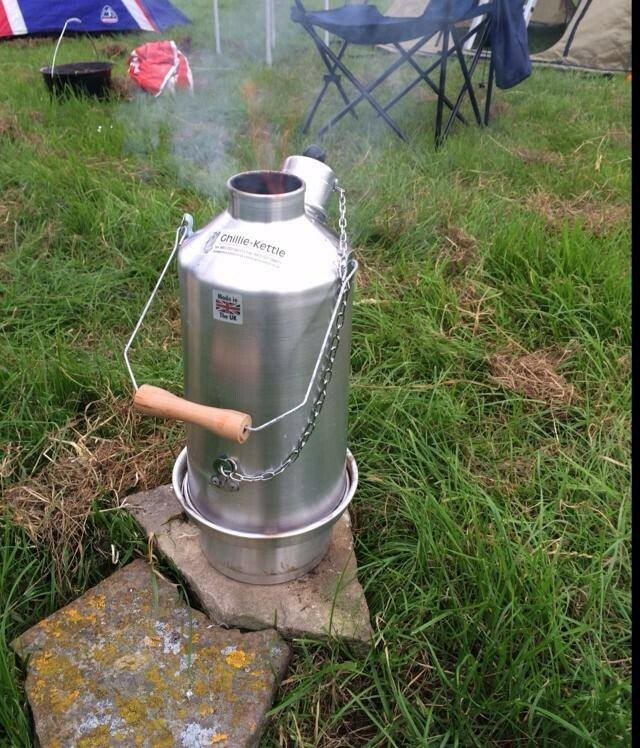 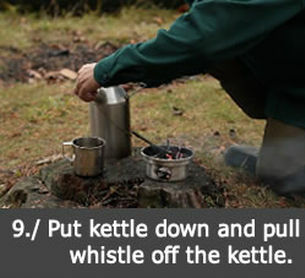 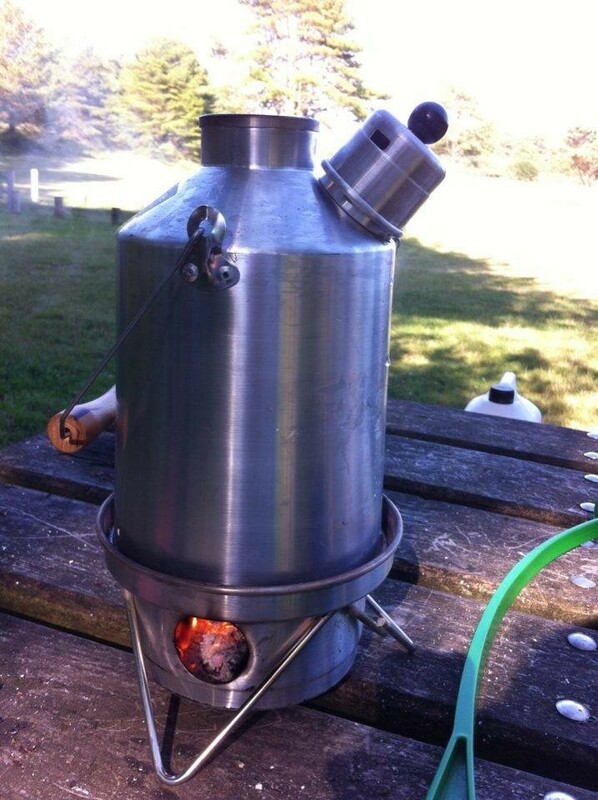 A self-contained wood fired kettle with a whistle! 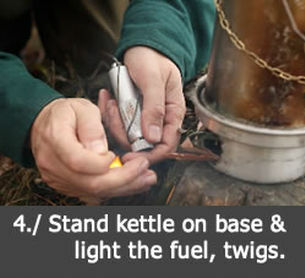 Please note: the triangular wire base for extra support is not included with the kit. 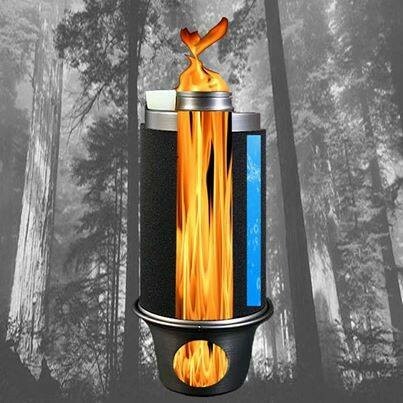 It will be available as an optional accessory in the Summer. 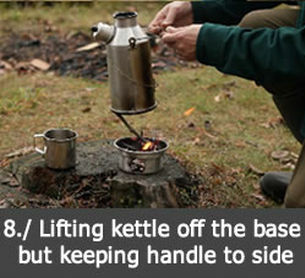 Specs: 0.8kg Height: 10.6" Diameter at widest point: 5.5"
Specs: 0.8kg Height: 11" Diameter at widest point: 7.3"
Specs: 0.9kg Height: 13" Diameter at widest point: 7.3"
You can purchase each kettle individually or with a "Cook Kit". 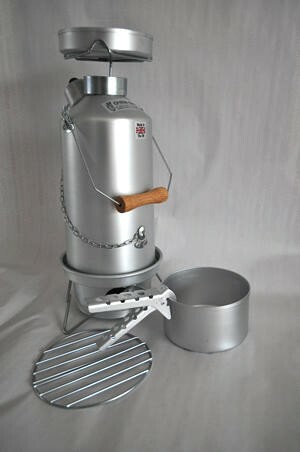 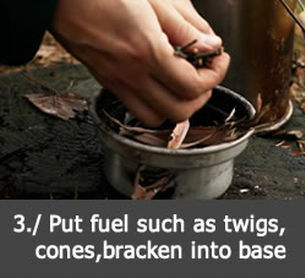 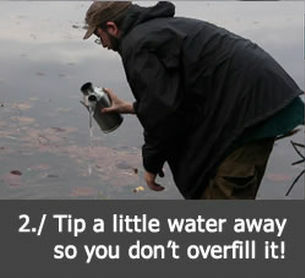 The Kit includes: a frying pan, saucepan, grill, pot gripper, base stand and pot support.